Roughly centered on Howell Interlocking at Marietta, W. Marietta Sts., Howell Mill Rd. and Lowery Blvd. 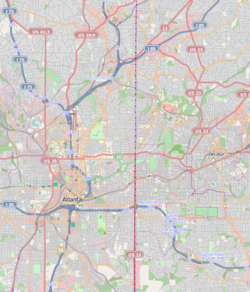 Howell Interlocking Historic District is the area in West Midtown, Atlanta where four railroad lines converge. 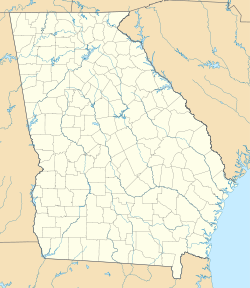 It is adjacent to the Marietta Street Artery neighborhood, an area rich in industrial history, as an original industrial district built along Atlanta's first railway line (1837). This page was last edited on 28 November 2016, at 14:00 (UTC).